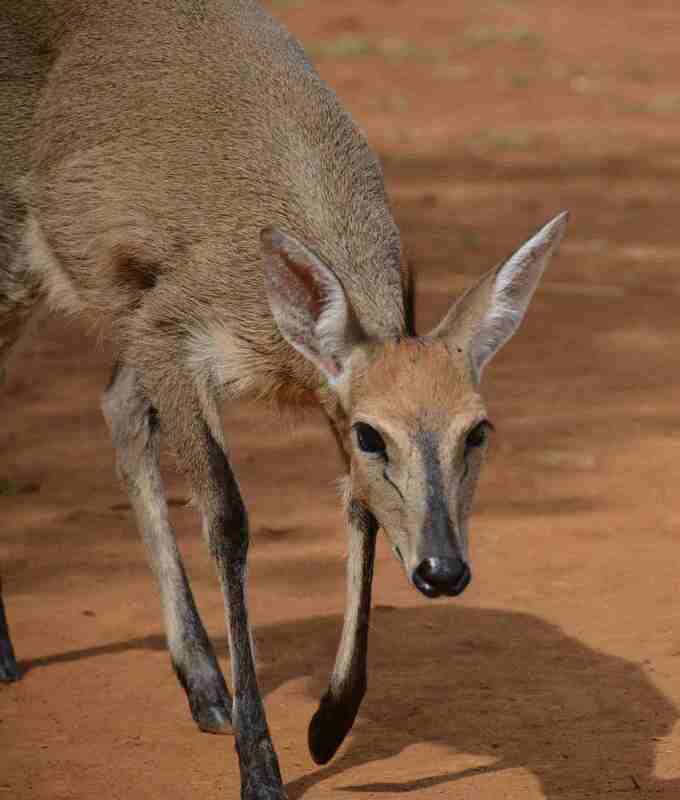 On Sunday evening a female grey duiker was saved by members of My Faerie Glen when it was seen bolting down Selikats Causeway in Faerie Glen. The duiker was taken to Valley Farm Animal Hospital where she was kept safe until Hencke Marais from Nature Conservation arrived to collect her. On Monday she was taken to Onderstepoort where Dr. Johan Steyl tended to her injuries and also discovered that she is pregnant. 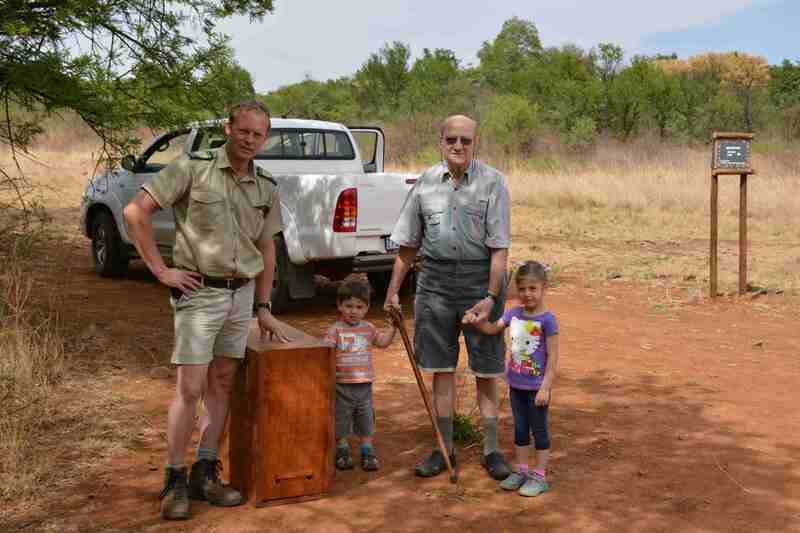 She was released in the Faerie Glen Nature Reserve on Tuesday by Hencke Marais, aided by Jacques van Rooyen and Alf Joubert from the Friends of the Faerie Glen Nature Reserve. We would like to thank everyone on behalf of the Friends of the Faerie Glen Nature Reserve for acting quickly in a situation that could potentially have ended in tragedy. 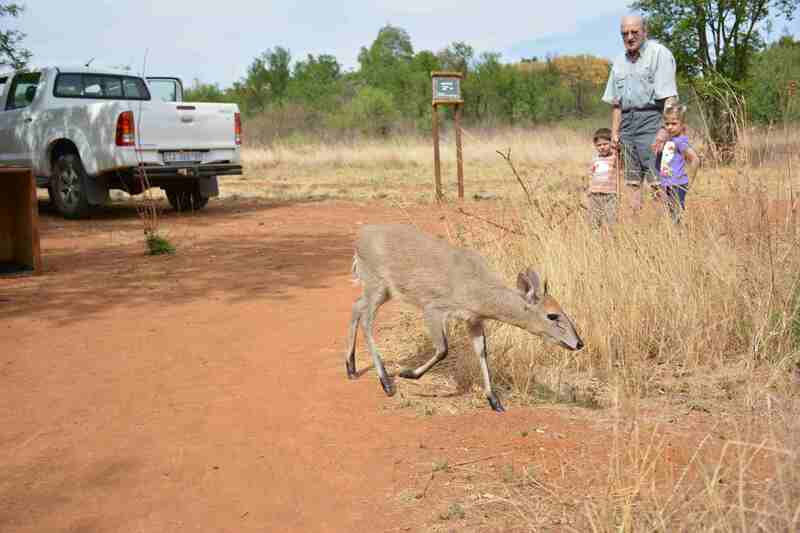 We also would like to thank those who took care of the duiker up to her successful release in the Faerie Glen Nature Reserve. Please do not hesitate to contact us should you see a wild animal in distress out of its environment. Alternatively call Tshwane Nature Conservation’s 24 hour emergency number 072 097 4772. Brilliant story – thank you SO much to everyone involved!